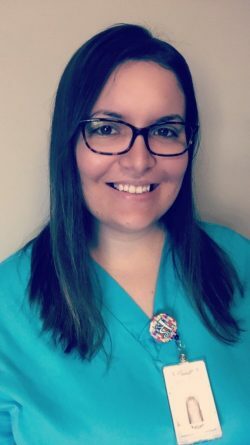 Kayla began working at ProCure Proton Treatment Center armed with an Associate Degree in Science and an eagerness to learn. After 5 years of consistent positive contributions as a Treatment Team Assistant, she was ready for new challenges in the field of research. She smoothly transitioned to the role of Clinical Research Coordinator in 2015. Kayla has plans to sit for the certification exam in this field in the next year, and also looks forward to furthering her education with a Bachelor degree. Originally interested in the field of nursing, Kayla has found a niche in the world of proton therapy. Dr. Ben Wilkinson is a board-certified radiation oncologist and Proton Collaborative Group (PCG) member who currently lives in Shreveport, Louisiana. Dr. Wilkinson completed undergraduate studies in Chemistry and Marketing at Texas Christian University (TCU) and received his medical school education at Texas A&M College of Medicine. He then completed residency in radiation oncology at William Beaumont Hospital in Michigan under the direction of Alvaro Martinez, Frank Vicini, Larry Kestin, and Inga Grills. While at Beaumont, Dr. Wilkinson assisted with research and clinical outcomes for patients treated with accelerated partial breast irradiation (APBI) and image guidance. This work led to being an author or co-author for over 30 peer-reviewed journal articles and text book chapters, including publication of Phase II data for a hypofractionated APBI regimen using applicator-based brachytherapy. Following completion of residency, Dr. Wilkinson joined Willis-Knighton Cancer Center and LSU Health Science Center Shreveport as a staff radiation oncologist, primarily treating brain and spine tumors, as well as lung, breast, and prostate cancers. During his time in Shreveport, he has created a radiation oncology rotation and journal club for LSU’s medical oncology fellowship, introduced NCI CTCAE toxicity scoring in the Willis-Knighton clinic, and started treating pediatric patients in a historically adult-based cancer center. 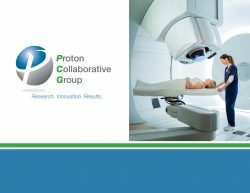 All patients treated with proton therapy at Willis-Knighton are prospectively enrolled in the PCG registry study. In addition to baseline demographics, quality of life and toxicity data are collected for all patients using the VisionTree Optimal Care platform. 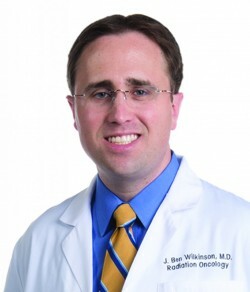 Dr. Wilkinson is committed to clinical research which led him to participate in the ASCO / AACR Methods in Clinical Research Workshop in Vail, Colorado, as well as spearhead the addition of Willis-Knighton Cancer Center to the Gulf South NCORP, which will enable patient participation on NRG/RTOG cooperative group trials beginning in the Summer of 2016. With his guidance, Willis-Knighton became the first affiliate site in the country to open and enroll a patient on the new PCORI breast protocol randomizing patients with locally-advanced breast cancer to proton therapy or conventional X-ray based treatment. Dr. Wilkinson is currently working with PCG to evaluate the clinical outcomes and patterns of failure after proton therapy for low-grade gliomas. Preliminary results of this work will be shared at this year’s ASTRO meeting in Boston. Congratulations to the PCG members whose abstracts were accepted by PTCOG! PCG Welcomes Mayo Clinic To Our Membership! 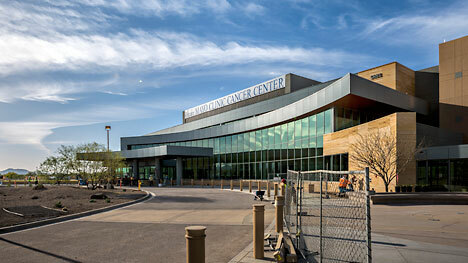 Mayo Clinic’s existing proton center in Minnesota opened in 2015 and the new center in Arizona is scheduled to begin treating patients in Spring 2016 . We are thrilled to be working with the teams from both locations! Recorded version of the Cogstate Computerized Assessment of Cognition for Clinical Trials — iPad Demo and Presentation now available.